Saturday (check-out till 10 a.m.). The chalet II. with its authentic equipment from the period of skiing origin is more suitable for the bunch of people or group of visitors or for a larger family. Interior space is conceived as a common area with kitchen and a spacious seating area connected simultaneously with a sleeping gallery on the floor. There is 6 beds available in the gallery upstairs. On the ground floor there is another separate room with two beds and an extra bed availability. The capacity is 8 people. In the summer months, the pool can be used free of charge. Prices are in CZK per one week. Prices are rounded up to one week, even if you select a smaller number of days. Price for a week stay in December does not apply to Christmas and New Year's week.The final cleaning fee of CZK 500 (for rent is attributed) is included in the price. Charges for stays are included in the rental. After payment of 50% of the total price the reservation is considered binding. The advance payment is to be paid by bank transfer to the account number 499244003/0800. The additional payment of 50% has to be paid upon taking over the chalet in cash. Due to historical equipment in the chalet I. the refundable deposit of CZK 5,000 is required. The deposit will be refunded at departure after the takeover of the chalet. In case of interest we offer a customer card after first holiday spent in the chalet. This card will allow you for a 10% reduction for the next booking. In case of reservation for 2 weeks or more we offer a price reduction of 10%. Part of the lease are amenities such as bedding, towels and toiletries, energy, water and heating.The fee for final cleaning and disposal of the property is charged CZK 500 per stay. Chalet "Pod Skalou II." 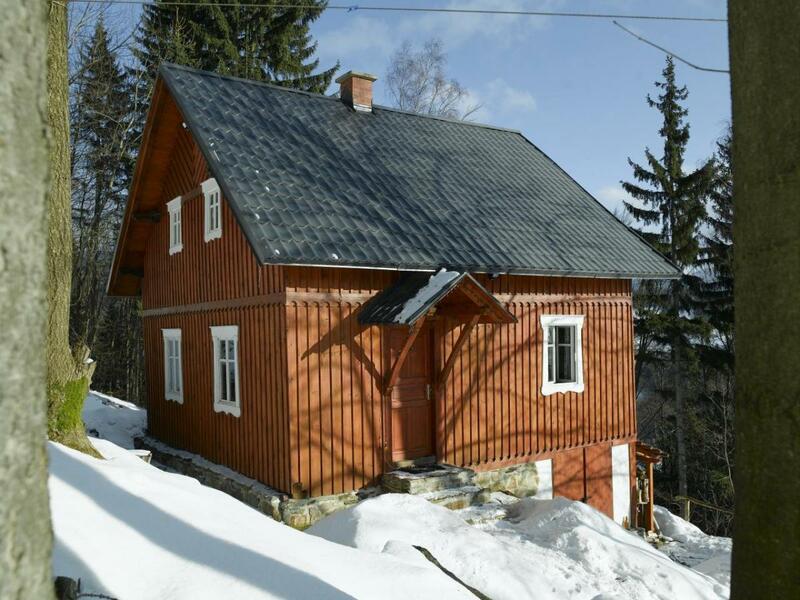 is a stylish mountain cottage on the slope of Hromovka hill in Paseky nad Jizerou. It is quietly located. About 50 meters is the cottage "Pod Skalou I" which is part of the land with its own facilities and access. The cottage is situated on a sloping, partly terraced plot with a mountain-maintained garden with a wooden terrace, a garden sitting with wooden furniture. The furnishing of the chalet and its interior is historical, period from the 19th / 20th century, providing a period atmosphere at the expense of comfort and comfort (suitable for lovers of old times). The method of heating in the main room is provided by the wood stoves- brand Bulerjan, which will heat the entire space. The small room has a own wood stove. In case of interest, the building can be heated with electric heaters for a flat-rate energy surcharge (this method is not used too much). Water heating is provided by an electric boiler with a capacity of 120 liters. In the kitchen you can find a 2-ring cooker, a kettle, a microwave, a fridge and all cooking facilities. Rental of cottage Pod Skalou II. it is also possible with a pet (for a charge, see financial terms) and on the responsibility of the owner. If you need more informations, please contact us.